DUFF, the movie, left me feeling the same way the book did: unimpressed, but mildly entertained. The movie doesn’t attempt to be deep, it does seem to want to touch upon the issue of labelling, however it does so very superficially – it pretty much goes unnoticed. Both have Allison Janney, and Ten Things is smart, fun and also has Heath Ledger and JGL. Perfect Chemistry by Simone Elkeles is a tepid book about a rich girl and a poor gang member who end up doing everything together except the chemistry assignment that brings them together. It is readable. I hate describing a book as readable, because it’s the worst sort of insult to a writer. It translates into: “This book made me feel absolutely nothing.” I feel no need to read any of the 40 pages I got left. I read most of the book in one sitting and if I had not been sleepy I would have probably finished it, but I have no interest to go back and find out what happens. However, you might find Perfect chemistry to be a nice piece of YA literature, however. It’s not badly written, and maybe you’ll find something that appeals to you. 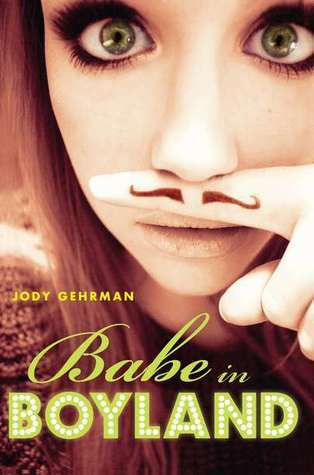 Babe in Boyland by Jody Gehrman is about Natalie who disguises herself as a boy to answer idiotic questions about what boys really want/think. Halfway through, I was unable to continue reading BIB. My sincere apologies to Jody Gehrman and all the people on Goodreads who rated this book with more than one star. I really tried to find a redeeming quality, but was unable to. I mean, honestly, 50% of this books consists of Natalie putting on make up to look like a boy, being anxious in various situations, screaming like a girl and looking at Emilio’s glistening moonlit muscles. It reads like a really bad daydream of a 12-year-old girl. 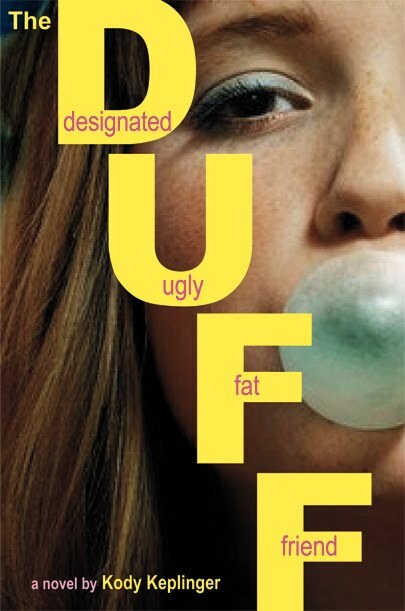 The DUFF (Designated Fat Ugly Friend) by Kody Keplinger is a fun, refreshing book about Bianca, a cynical high school senior who finds that hooking up with a guy she despises is a good way to run away from problems. Doing due diligence, I found that a lot of people think that Bianca hooking up with a boy she hates is disgusting and/or terrible. It never even crossed my mind because I got the impression that she doesn’t hate Wesley, she “hates” him. Haven’t you ever “hated” a guy? I have. I “hated” the hell out of a certain boy with a generic name. Hating him was easier because I thought there was no chance he would notice me, because he always picked the girls who were hot (i.e. not me), and because it was original (girls were either indifferent or obsessed with him) which was extremely important to me in my formative years. The book was written in first person, which is why Bianca doesn’t put quotation marks when she says she hates Wesley. She doesn’t know she “hates” him, the book is a process of her adding quotation marks.